Something big is coming. Bigger than a mammoth. Much bigger. Such finds are magnets for high-tech Russian and South Korean clone researchers in search of mammoth cells with the greatest possible degree of intact DNA. Their mission could be part of a science-fiction plot. They want to bring the extinct woolly mammoth back to life à la “Jurassic Park”, and resurrect it as a species. And that’s just the beginning. Worldwide, biologists are working on re-inventing life. They want to learn the language of nature and create life following the Lego principle. The goal of synthetic biology is to produce complete artificial biological systems. Man becomes the Creator. The resurrection of the mammoth is a first track and manifestation of this next great technological revolution. An exercise. A multi-million dollar game. The new technology may turn the world as we know it completely on its head ... and all of this has its origin in the unstoppably thawing permafrost at the extreme edge of Siberia. 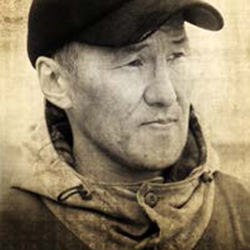 Born and raised in the Siberian Republic of Yakutia, Peter Grigoriev grew up in Kazachye, a small village mainly inhabited by mammoth tusk hunters. 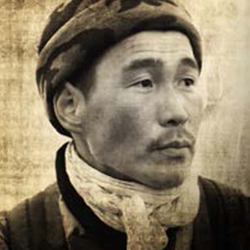 After attending the History and Law faculty of the Yakutian State University for some time he turned into a professional mammoth tusk hunter. For years now, he is experiencing the challenges of the quest for the white gold on all four islands of the New Siberian Archipelago. Peter’s brother Semyon Grigoriev is an Indiana Jones-like paleontologist and head of the Mammoth Museum at the North Eastern Federal University in Yakutsk. The Yakutian permafrost is a huge evolutionary fridge. In the cool stores of the laboratories of his museum, he pursues the resurrection of the woolly mammoth, joined by his wife and researcher Lena Grigorieva. 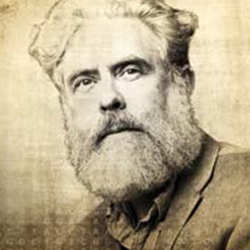 American geneticist George Church, professor at Harvard Medical School, had an epiphany determining his career path when he attended the International World’s Fair at the age of ten. Fascinated by science and engineering he wants to create the future. He dedicates his life to research and is one of the sanguine visionaries in the field of synthetic biology. 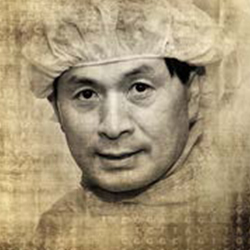 Korea-born Woo Suk Hwang became a national hero in 2005 and shortly after experienced a ruthless downfall in his career when his stem cell research was deemed as fraud. Imperturbable and with help from supporters, he cleared all widespread beliefs of the end of his career by launching Sooam Biotech. To date Sooam cloned over 900 dogs and is the only commercial animal cloning factory of such a scale worldwide. Swiss director and producer Christian Frei is considered one of today’s most innovative and compelling documentary filmmakers. He was nominated for an Academy Award with War Photographer (2001) and won the World Cinema Directing Award at Sundance with Space Tourists (2009). 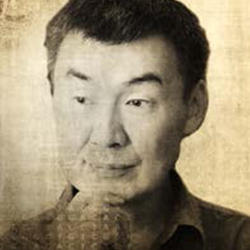 For his latest endeavor he reached out to Siberian filmmaker Maxim Arbugaev. tography in Moscow. His directorial debut The Hunters (2014) earned several awards. The films of director Christian Frei have played a significant role in Peter Indergand’s career. The renowned Swiss cinematographer received an Emmy nomination for Outstanding Cinematography for Frei’s War Photographer (2001). The team continued working together with The Giant Buddhas (2005), Space Tourists (2009) and Sleepless in New York (2014). Indergand’s work includes collaboration with directors such as Markus Imhoof, Marcel Gisler, Christoph Schaub and many others. Swiss editor Thomas Bachmann contributed to several short and feature length films, fiction and documentary, including the Academy Award nominated short On the Line (2007). The documentary Electroboy (2014) captivating with its provoking editing, earned him the Swiss Film Award for Best Editing. Bachmann’s work includes collaboration with directors such as Markus Imhoof, Marcel Gisler and Reto Caffi among many others. For inquiries or further press material please contact us.